Setbacks are normal occurrence during potty training, but once you start observing your child having more accidents than usual, your little one’s probably showing signs of regression. Potty training regression means that your child has taken a step backwards in their potty training skills. It can be really frustrating but it’s something that you shouldn’t be alarmed about. The key is to know why your child is becoming uninterested or unfocused and build up a simpler routine for him to follow. A new grand toy like a baby jumper or a fun activity may keep your child uninterested in training. This is completely understandable since your child is still growing up and he wants to have fun, to the point where he forgets to follow his daily potty training routine. Some children even hold their pee or poop if they are engrossed in an interesting activity, resulting to constipation or even UTI. 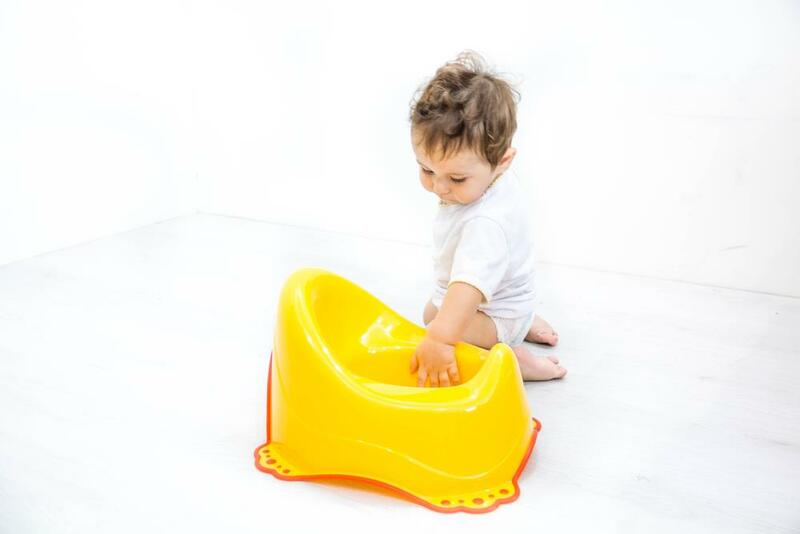 Although this is something you can’t really avoid, you can definitely shift your child’s focus back to potty training by making it a fun experience for him! Create a progress chart with stickers and place it near his potty chair so he can monitor his own progress. This will make him competitive and he will think that it’s a game, so he will look forward to training more often. Pushing it too hard will only make it worse. Your child is still adjusting so the best way to lure him into the potty is to go easy on him. If he doesn’t want to use his potty chair, let him be. Chances are, he’s probably going to use it on his own after a few hours. It just takes extra patience on your part, especially since children tend to get distracted easily. Don’t yell at your child or scold him if he refuses to use the potty. This will only scare him and he might completely lose interest in completing training. Potty training is probably causing your child anxiety, and that usually results to regression. Give your child time to play and do his own thing, instead of forcing him to follow his routine. Children can get really moody, so if he woke up on the wrong side of the bed, he’s going to refuse to go the potty first thing in the morning. You need to be calm and patient; this doesn’t mean that your child has completely given up training. A new pet, baby, schedule, or moving in a new household may disrupt your child’s potty training routine. This will make him out of focus, so the best thing to do is to give him time to adjust to the changes. Sometimes, your child also finds his routine complicated, so changing it to a simpler one – like a morning and nighttime routine will make it easier, then once he gets used to it, you can squeeze in a little bathroom trip in the middle of the day. 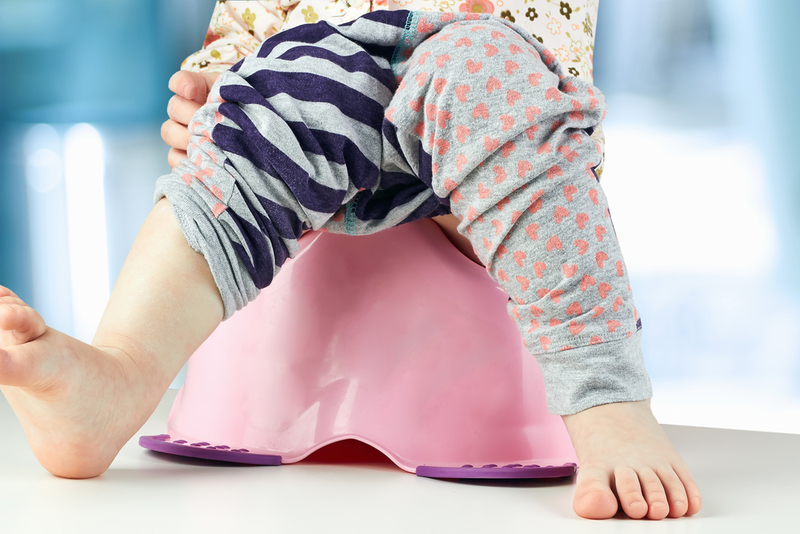 Potty training your little one is easier said than done. You need to be extra patient and determined to train your child and the whole experience requires time and consistency. If this is your first time, you will have to adjust and anticipate setbacks since most of the time, your child will drive you nuts, trust me. One of the potty training problems you’ll have to deal with is potty training regression. One moment, your child seems to have it all figured out – then the next morning, he starts having accidents again. Addressing the problem is the first step to figure out a solution. Oftentimes, a major change in lifestyle causes stress to your child, like moving in a new house or a new schedule in school. Chances are, once you’re all settled in, your child will continue to master potty training again. The key is to find out what’s causing the changes in your child’s routine. One possible factor is also your child’s bowel movement. If he’s constipated, he’s having difficulty keeping up with his training routine. Make sure he’s getting all the fiber and water he needs to avoid constipation. Your child may be distracted by other fun activities that he chooses to neglect potty training. He might be having too much fun playing or doing other school activities that he forgets to stop and go to the bathroom. During these kinds of situations, it’s best to make an effort to make the whole potty training experience fun for your child. Be creative by making a colorful progress chart with stickers of his favorite cartoon characters, and let him add stickers himself every time he goes to the bathroom on his own. It is also important to note that encouraging your child to go to the bathroom first thing in the morning, before meals, and before his bedtime will get him back on track. Treating your child with a little toy or a trip to the ice cream store will motivate him to stick to his routine. It doesn’t have to be anything fancy, just as long as he’s reminded that he did a good job and that will inspire him to keep it up. You don’t have to buy him anything every time, a few extra minutes of TV time or an extra dessert will definitely do the trick. Keep in mind that every kid is different and it might not work for some of them, so instead of giving them something, praise them with your words or even small gestures like a kiss or hug – just to make them feel good. Don’t panic! Potty training regression is perfectly normal and is something that you shouldn’t be concerned about, especially if you handle it the right way. It’s frustrating to see your son suddenly having more accidents than usual. Don’t’ worry, your child is just taking a few steps back in his training skills, and there are ways to get him back to business. There are a lot of possible reasons why your child suddenly refuses to go to the potty. Anxiety, stress, too much pressure, and becoming unfocused are just some of them. There may be a major change in the household that’s causing him to stay unfocused and refusing to train. The key is to find out what’s really causing it, and finding ways to avoid it. Most of the time, all your child needs is a breather. Potty training can be stressful and pressuring him or pushing him too hard to train may even make it worse. It’s frustrating, yes, but don’t be negative! It’s just a little bump on the road and it happens to everyone, especially since children tend to be easily distracted. Stay calm and avoid commenting or scolding him while cleaning up accidents – this will only make him want to do it more since you’re still giving him attention. After cleaning up, have him sit on his potty and remind him about what he should have done. Sometimes, children forget warning signals and reminders, so try to reinforce potty training as quickly as possible after one of his accidents. This will make him think of potty training as a responsibility rather than a simple task. Praising your child worked during the first few weeks of training, so it’s another way to make him feel rewarded and fulfilled. Once he’s slowly coming back to training, praise him for being a “big boy” and for doing a good job. If the family has a new baby or a younger toddler, stress the difference between him and his younger siblings. Give him attention for his “big boy” habits and make him feel that he’s in charge. Put his name on his potty chair to let him know that it’s his and he’s in control. The last and most important thing to remember is to be consistent and remind yourself of your goal: successfully potty train your child. Going back to using diapers can be pretty tempting, especially if things get rough and tough, but remind yourself that you’ve made it this far and a little bump won’t make you give up. Try to stick to your routine and stay calm even if he’s having constant accidents. If your child finds it hard to remember his routine, make it a fun experience by creating a progress chart and personalizing his chair with stickers. « When do you start to feel your baby move?